In order to properly answer that question, you first need to look at the relationship between motorists and cyclists. From a cursory standpoint, that relationship is not a very good one. There has always been a conflict between motorists and cyclists on our roadways. Motorists feel like they own the road. Cyclists feel like they own the road as well. This is not a very good formula for co-operation. There are many advocacy groups which have been established to foster road sharing between cyclists and motorists. Here in Ontario, there is a “Share The Road” program funded by the Ontario Cycling Coalition. These programs are targeted and improving bicycle safety across Ontario. 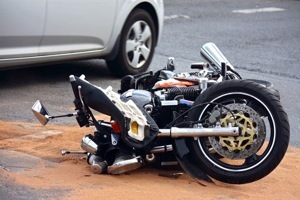 Bike accidents result in some of the most serious injuries that our law firm sees. While helmets are excellent protection and a way of actively preventing catastrophic injury, there is really now way of preventing serious injury when a 700 pound car travelling at 50km/hr collides with a bicycle. The physics in these instances always favour the car. There are no tax revenues generated from any cycling licenses, drive clean tests or registration There is no tax revenue generated from gas prices because bikes don’t need gas Reducing roadways to build bike lanes might not reduce congestion because there is one less lane for cars to drive in. See the Jarvis bike lane experiment which went wrong according to the City of Toronto. The City of London has had a different experience with their relatively new bike lanes on Wonderland North. Balancing this is a near impossible tax. Some might argue that taxing cyclists is a potential answer. All tax dollars recovered can be spent directly in to cycling infrastructure. That makes sense, but it would be a very unpopular move. Nobody votes for a politician who proposes to raise taxes. But, they will vote for a politician who proposes to build more bikes lanes: only that politician doesn’t tell you at election time on HOW they propose to build said lanes. All that the politician will tell you is that they propose on using “revenue tools” to generate funding. The term “revenue tools” is so broad and really means nothing. It can mean a user fee. It can mean a licensing fee. It can mean a tax. It can really mean ANYTHING that you want to achieve that goal. Here are some of Goldfinger Injury Lawyers’s tips on staying safe and avoiding a serious accident this summer bike season. Caveat: We know that for many of you out there, cycling is a year round thing. You aren’t afraid to brave the elements and bike in the cold, sleet and snow. We admire your bravery. 1. Wear a helmet! Can’t afford a helmet? Give us a call and we will do our best to help you out. Helmets are the #1 prevention of brain injury. 2. Get your bike serviced. Just like you would a car, get your bike serviced to make sure that it’s working properly. The brakes in particular. Bike accidents happen on account of failing to stop in time, or the brakes just not working how they’re supposed to. After sitting all winter in your garage or basement, it helps to get them checked out. It could even save a life. 3. Make sure that your bike has reflectors. They’re not only cool looking, but they do serve a purpose of helping motorists see where you’re riding. 4. Speaking of visibility, if you’re out riding at night, make sure that you’re wearing some reflective clothing. The reflectors on your bike only go so far. Take your visibility to the next level and invest in some neat looking neon yellow, bright orange or reflective white clothing. Make the statement that safety is always fashionable. 5. Don’t drink and drive also applies to bikes. We’ve had people say that they weren’t drinking and driving a car. BUT, they were drinking and cycling. Same principals apply to drinking and driving a car, as do to drinking and riding a bike. Your safety is put at risk when you do so. 6. Learn those bike hand signals. Just like signal lights on cars tell others where you plan on going, hand signals do the same for cyclists. At the end of the day, taking any proactive safety step towards avoiding a bike accident is a move in the right direction. As a lawyer, too often we see innocent victims sustain catastrophic injury on account of the negligence of another driver. The accident may have been prevented had any of the aforementioned steps be taken. Unfortunately, we cannot go back in time so that the accident never happened. It’s the injured party and their loved ones who have to live with the consequences. In Ontario, the only way we have to compensate accident victims is with money. Policy limits are generally set at $1,000,000 under standard Ontario Rates. But, even if you achieve the maximum of $1,000,000; is that really enough money for somebody who has been paralyzed, or lost a limb on account of a bike accident? I think we both know the answer to that question. Anyone see last night’s Toronto Raptors game? What a performance. Normally, in games like that, Toronto’s team ends up losing. Having committed 21 turnovers in the game, I thought they were going to lose. But, it turns out they actually won! First playoff win for Toronto’s basketball team in 7 years. Let’s hope that their winning ways in the playoffs continue.